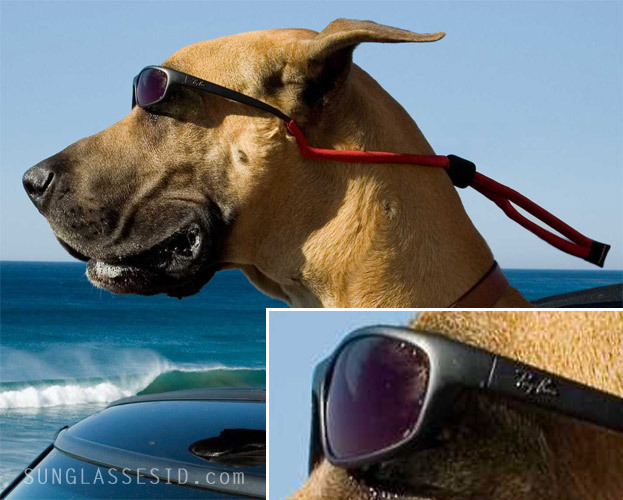 In the 2010 film Marmaduke, the dog Marmaduke wears a pair of Ray-Ban 4115 sunglasses while cruising though Caifornia in a Mini Cooper. These Ray-Ban shades not only look good on dogs, but are great for people as well. Find them on Amazon.com, FramesDirect or eBay.